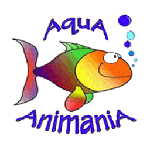 The AquA AnimaniA Online Coupondz!™ section contains exclusive online discounts, savings and offers. Be sure to stop by and check out the countless pets, products and supplies, in stock, throughout our ultra-modern pet and pond superstore! Check out the AquA Deal$™ for daily and weekly, exclusive, online specials. Bonus! “Clik Pic’n $ave!™” Download & print or display via handheld device, any of our online specials, at the time of purchase, receive a 5 dollar AquA Buck$™ gift certificate redeemable on your next visit!